Йовко, не мога да отворя друго освен една страница с Editorial за всяка публикация. и аз, явно са си променили нещо в сайта. Това е било преди една година! Изданието на FECAVA - EJCAP(http://www.fecava.org/ejcap ) е достъпно он-лайн. Регистрирайте се и го ползвайте! How can you turn a snarling, snappy dog in your consultation into a well-behaved patient? Changing the mindset of dogs and counterconditioning are the key words in Sophia Yin*’s paper on Reducing stress and fear aggression in the clinic. 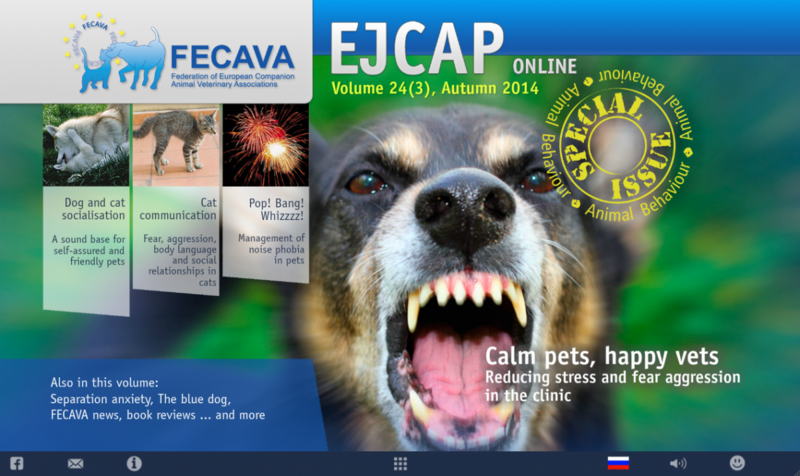 Read the tips of the trade in the 2014 Special issue on animal behaviour of EJCAP, the official journal of FECAVA. The interactive CPD journal contains the usual wealth of (e.g. how do adult dogs get pups to behave? ), quizzes (test your knowledge on treatment against separation anxiety), downloads (handouts for clients on how they can get their pet to enjoy car rides), soundbites (can you tell a meow from a yowl?) and tips (managing dogs with noise phobia). Guest Editor for this Special issue on behaviour is Milos Urban (Czech republic), who highlights the importance of behavioural medicine in everyday practice in the editorial video. - Cat communication: fear, aggression, body language and social relationships in cats, by Kersti Seksel (Australia). The issue also contains updates on the Blue Dog bite prevention programme, book reviews, the FECAVA/Laboklin travel bursary, Jerzy Gawor’s visit to the Ukraine earlier this year and more! 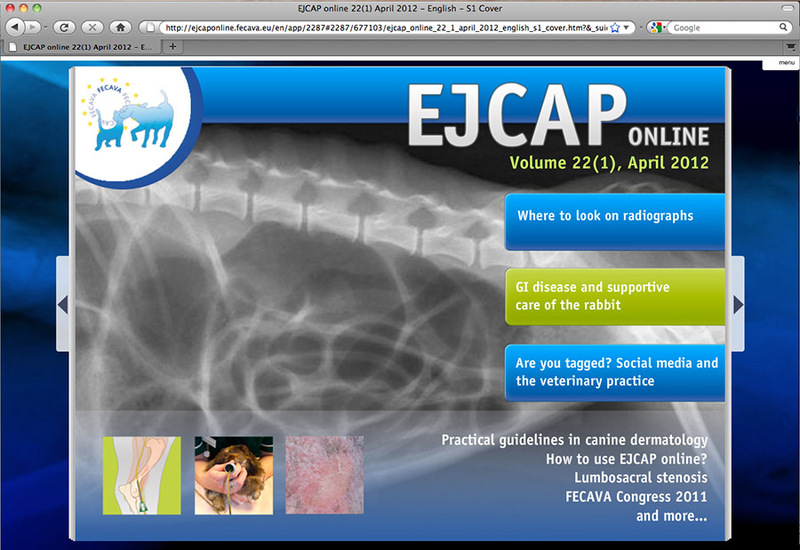 EJCAP is open access for all veterinary practitioners, students and nurses in Europe and beyond. Sign up here for the free newsletter to be informed of upcoming issues and other news. By signing up before 15 October you can participate in a free prize draw to win a ticket to the FECAVA congress in Munich! *Sadly, Sophia Yin passed away just days before EJCAP was published. • The Federation of European Companion Animal Veterinary Associations (FECAVA) is the platform to promote the professional development and representation of companion animal veterinarians in Europe. Founded in 1990, it currently has 39 national member associations and 13 associate member associations. FECAVA represents over 30,000 companion animal practitioners throughout Europe. • EJCAP online is generously supported by Hill’s Pet Nutrition, its prime partner.